XenServer 6.5.0 Service Pack 1 is now available on our website and SnelPanel, time to highlight a few features of this latest version. Virtual machine density has been increased to 1000 in this release. So if you are using XenServer as an OS on your dedicated server you will be able to run up to 1000 Virtual machines. The density varies based on the workload and your demands. SP1 introduces GPU pass-through for Linux HVM guests and provides support for OpenGL and CUDA. Installation of supplemental packs can now be performed through XenCenter Update. XenServer 6.5 SP 1 includes two new features to improve deployments of Docker containers on XenServer. It provides support for CoreOS 633.1.0 Linux VMs including Cloud Config Drives for customized configuration. It also includes Container Management for CoreOS 633.1.0, Ubuntu 14.04 and RHEL/CentOS/OL 7.0. In this version, XenCenter is improved in usability. The administration of XenServer environment is now more simple, quick and more intuitive. Getting the right hard drive can affect the performance of your dedicated server that’s why you should ask yourself which hard drive you want to use for your data. In order to make the right decision, we have given a brief summary of the differences between SSD and SATA disks. SSD servers are considered to be faster and more powerful compared to an HDD server. 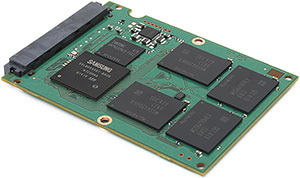 Why is an SSD so much quicker than a traditional hard drive? This is due to the fact that there is no spinning disk like there is in a traditional HDD that has to read and write data to an actual disk. As a result, you can expect quicker boot-ups and faster file transfers. This makes SSD dedicated servers perfect for heavy hosting purposes such as online stores with Magento software or other applications that need fast data processing. SSD dedicated servers are usually more expensive but if you do care much about speed and power then it is recommended to order an SSD machine for your applications. The fact that SSD servers are much quicker doesn’t mean that servers with HDDs are not good enough for your applications. An HDD does the exact same job as an SSD, it boots your dedicated server, stores your applications and files but it is a much more affordable solution. Generally, HDDs have a larger capacity and are an excellent choice for storing your data and to keep it for a long time. 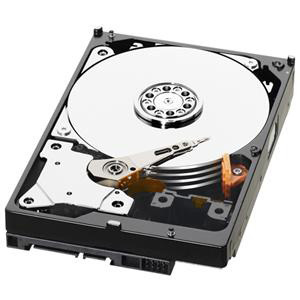 We have already mentioned that HDD is a cheap option and that It has a larger capacity so you should consider this option if these things matter to you the most. On the other hand, an SSD dedicated server is an excellent choice when you are looking for fast data processing. So these are the most important factors that you should consider during your decision. At Snel.com we offer dedicated machines with both SSD and HDD drives. Click here to see all available options.